There are numerous myths about orthodontics that discourage many people from getting the dental care they need. Dr. Scopu and her staff would like to put some of these myths to rest. Myth 1: Orthodontic treatment is for kids. Although teenagers often visit the orthodontist to get braces, adults represent a growing proportion of orthodontic patients. Whether you’re eight or 80, a consultation with an orthodontist can identify problems with your teeth, jaws, or bite that can be corrected by orthodontic interventions. Myth 2: Traditional, metal braces are my only option. Advances in orthodontic technology have rendered improved braces and other orthodontic appliances that are much less noticeable than the braces of the past. Ask Dr. Scopubabout Invisalign® braces and other options that make sense for your situation. Myth 3: Orthodontic treatment is only helpful for crooked teeth. Sure, a crooked smile is a common reason that patients seek orthodontic care. However, orthodontic interventions help with a range of dental health problems. From missing teeth to overbite to jaw misalignment, orthodontict treatment help with many problems associated with the teeth, gums, and jaws. Myth 4: Orthodontic treatment is too expensive. As with any medical procedure, orthodontics can be pricey. However, at DentAlign Studio, our team works with patients to find payment plans, insurance coverage, or other payment options that reduce the financial burden. When you experience tooth loss, it is important to both your appearance and your health to replace adult teeth as soon as possible. Among the general population, there seem to be some common misconceptions regarding tooth replacement. Some people believe that teeth need only be replaced if they are visible front teeth in order to preserve the appearance of your smile, while others consider restoring only the back teeth to maintain the chewing function. In fact, each of your teeth performs a much needed function. Dr. Scopu and her staff can replace your missing teeth tailoring your treatment to your lifestyle and budget. Your smile is one of the first things that people notice when they meet you. A beautiful smile is a sign of health and youth. 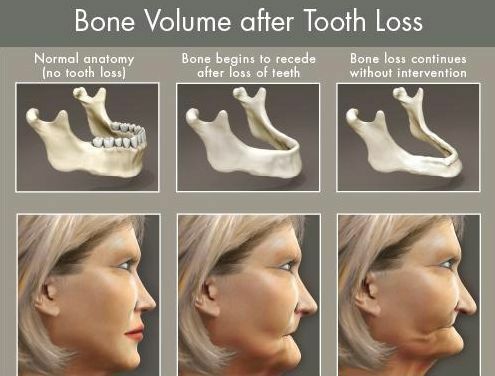 Missing teeth, however, can have a negative effect, impacting your appearance and harming your confidence. Tooth loss can also change your diet, forcing you to eat only soft foods. You may not be able to acquire the necessary nutrients for proper nutrition. This can result in digestive issues and overall poor health. There is no reason to sacrifice your appearance or your health when there are so many options available to replace adult teeth. Call us for an appointment to review your options.